When the original Surface Book hit the streets, it was massively successful. But, awesome as it was, we didn’t expect the sequel, the Surface Book 2, to improve on everything the original did, culminating in a device that made the MacBook Pro look like a cheap toy. So, it’s not hard to see why we can’t wait to see what the Surface Book 3 looks like, even if we probably won’t see it for a while. Just think about it, a Surface Book 2 with a sharper, brighter display, more powerful components and Thunderbolt 3. It could be the best 2-in-1 laptop ever made. With these features, the Surface Book 3 would be the perfect foil to Apple’s pro laptops. If Microsoft is able to bottle up what made the first two Surface Book devices great, and distill it into the third model, the Surface Book 3 might end up being the best laptop to date. Now, while there is little to no concrete information about the Surface Book 3, we can at least do a bit of speculation based on past releases and our tech expertise. So, with that in mind, let’s dive into what we think the Surface Book 3 may look like. 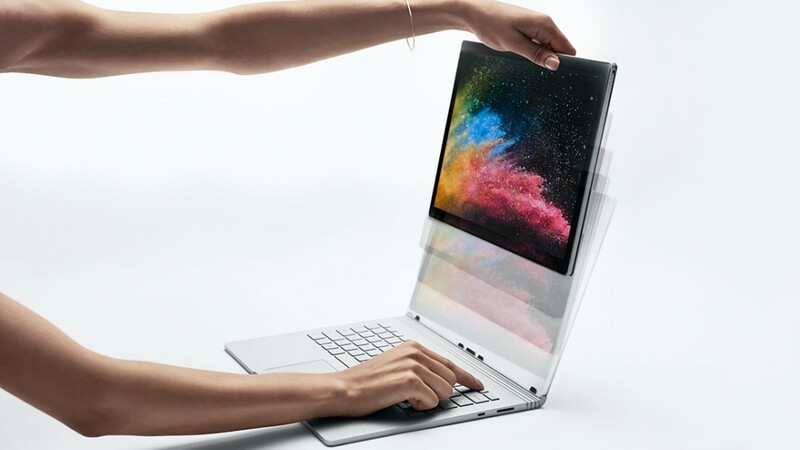 The Surface Book 2 was released in late 2017 – it’s more than a year old. But, if we follow the release pattern of Surface devices that aren’t the Surface Pro, you shouldn’t expect the Surface Book 3 until late 2019 or early 2020 at the earliest. Now, a couple new Surface devices launched in October 2018: the Surface Pro 6 and Surface Laptop 2. Still, we didn’t see any sign of a new Surface Book. And, now that Microsoft has recently given the 13.5-inch Surface Book 2 a quad-core processor, we don’t see a Surface Book 3 coming out any time soon. Until we get more concrete information, or even rumors, we’re going to stick with our late 2019 or 2020 Surface Book 3 release date speculation. Unfortunately, because there’s no concrete information about the Surface Book 3 right now, we don’t really know anything about its price. However, we can look at the pricing of the Surface Book and the Surface Book 2 and do a bit of speculation. 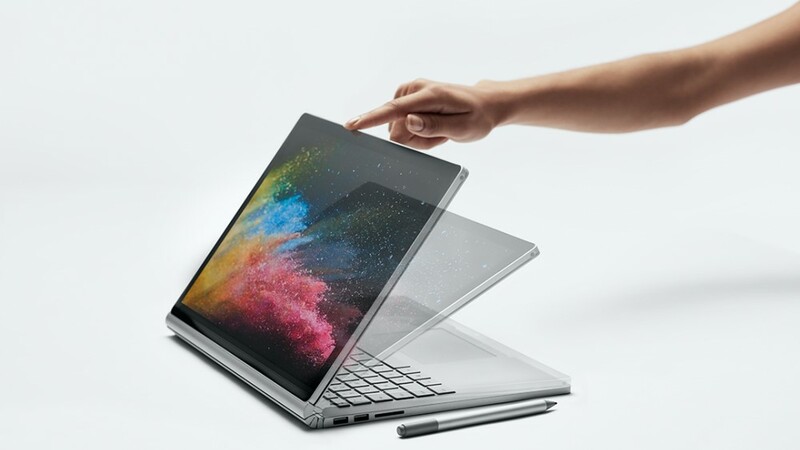 Right now, thanks to a new lower-storage model, the 13.5 inch Surface Book 2 starts at $1,199 or £1,149, while the 15 inch version still sits at a $2,499 or £2,349 (AU$3,649) price of admission. If you ask us, that’s already enough scratch. Still, let’s hope and pray that the would-be Surface Book 3 stays well within that price range, as we likely wouldn’t be able to afford much more. Because the Surface Book 3 is so far off, and we don’t have any solid information on what it’ll look like, all we can do is create a wishlist for what we want to see improved in the next Surface Book. So, here’s our Surface Book 3 wish list, based on speculation, leaks and rumors. The Surface Book represents the most powerful and elegant laptops that Microsoft manufactures, so we’d like to see up-to-date components all around. Now that Intel is supposedly getting ready to release Whiskey Lake processors for laptops and Nvidia is fresh off of the Nvidia Turing announcement – the Surface Book 3 might be an extremely powerful device when it comes to market. Just imagine a portable workhorse that can do some 4K gaming in its downtime. And, if Microsoft waits to release the Surface Book 3 until Ice Lake hits the streets in late 2019, the Surface Book 3 could be both powerful and battery efficient. Whether it’s through an expanded keyboard with the number pad or top-firing speakers with deep bass chambers, Microsoft has to make better use of the space afforded it with the 15-inch Surface Book design. As of now, it’s simply wasted space waiting to be utilized. The Surface connector on the Surface Book 2 is flexible, to be sure, but it’s time for Microsoft to move onto Thunderbolt 3 via USB-C. Not only does Thunderbolt 3 allow for faster file transfers, it can also serve as a one plug hub for all displays and other peripherals you could want to connect. If the Surface Book 3 is really going to compete, especially in 2019 or 2020, it needs to respect this growing standard. And, it looks like it may actually happen. Microsoft has patented a magnetic USB-C connector that would sort of function like the existing magnetic Surface charger. Whether or not this will actually support Thunderbolt 3 remains to be seen, but we don’t see why it wouldn’t. One of the fatal flaws of the Surface Book 2 15-inch was it couldn&apos;t play games without draining its battery on top of pulling charge through its Surface Connector. While Microsoft might have told us it was designed creatives and not gaming, the same company was the one who gave it a built-in Xbox controller receiver. Whatever or whoever, the next iteration is made for, it should have improved power management as to not dip into its battery reserves for extra juice. The Surface Book 2’s display comes in at 3,240 x 2,160 (260 ppi) at a 3:2 aspect ratio in the 15-inch model. It’s a beautiful display, to be sure. However, while it comes close to hitting that 4K mark, true 4K assets are becoming standard, so digital creators would likely appreciate a screen that mirrors the sharpness at which they produce content. For what it’s charging for current – and will charge for future – Surface Book products, Microsoft should include all of the essential accessories in the box. Yes, that includes the awesome Surface Dial alongside the Surface Pen in this case. It’s only fair for what is essentially a luxury item. 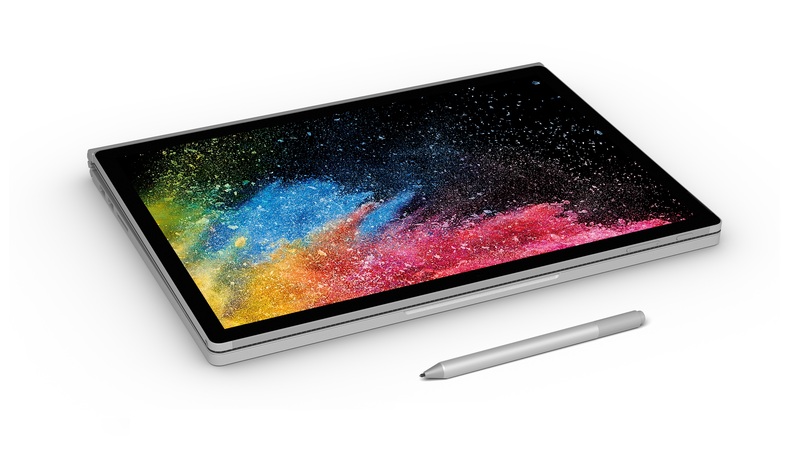 The Surface Book 2 is already an extremely attractive device, but after Microsoft revealed the Surface Pro 6 and the Surface Laptop 2, we would love to see the next premium 2-in-1 adopt it, too. Just imagine, a Surface Book 3 that could not only compete with the MacBook Pro 2018, but one that has a more beautiful color option than the Space Gray on the latest Apple flagship.